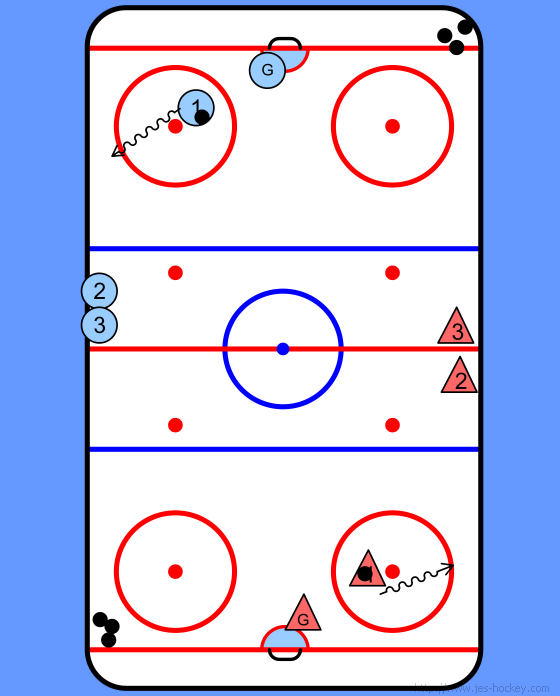 Form 2 lines one at each blue line. 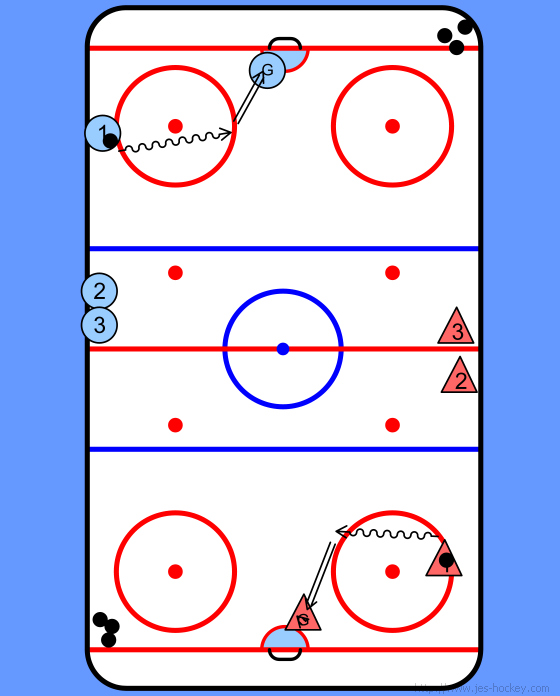 1st player in each line skates with puck and does a delay around the bottom of the circle and swings back up to high slot and takes shot. 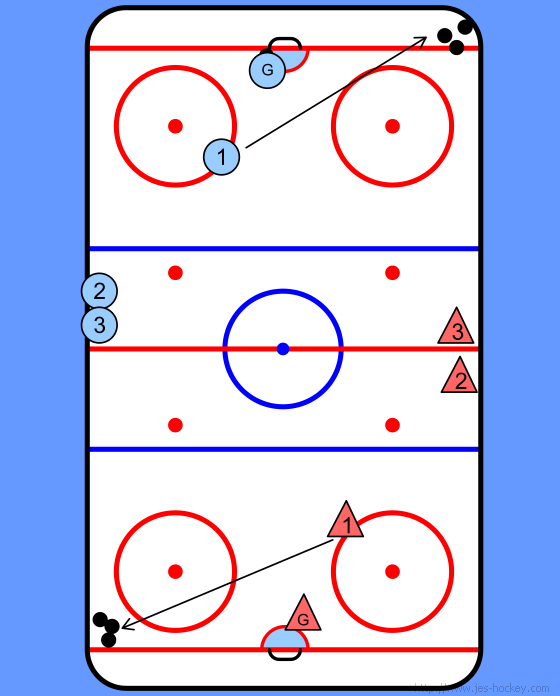 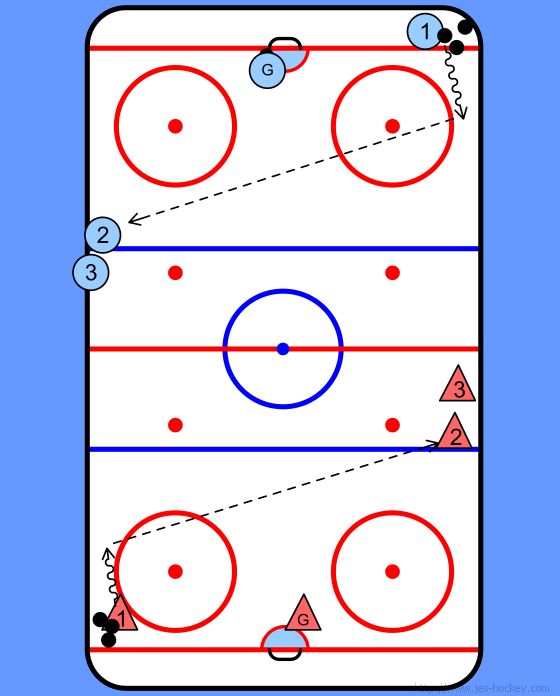 The player then goes in the far corner skates up the wall and passes to the first player in line across the ice. 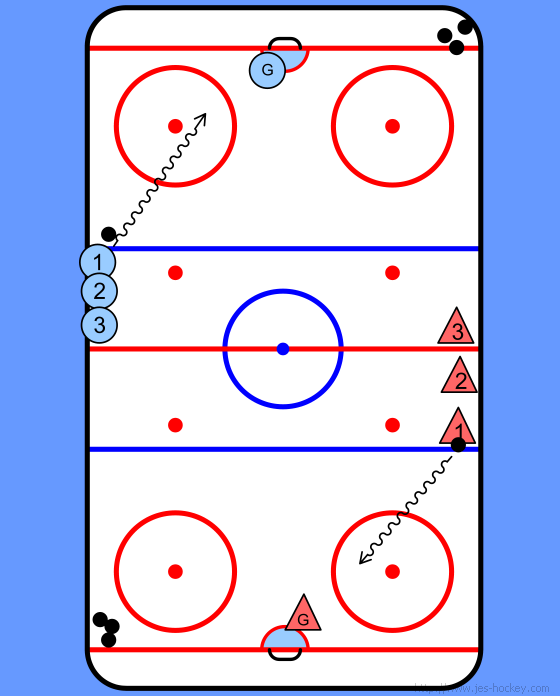 The player then goes to the end of the other line at the far end of ice.